This issue of Cardiac Interventions Today features articles about radial access techniques and ventricular support devices, in addition to the many regular department articles covering topics such as cardio-oncology, research and product updates, coding and reimbursement, and interviews with leading interventional physicians. This issue is also my last as Chief Medical Editor. I have had the opportunity to invite many of you to contribute to Cardiac Interventions Today over the last several years, and your contributions have made the journal a consistent success. I have tried to be steadfastly true to an editorial philosophy that seeks to synthesize the vast interventional literature into reviews that are contemporary, relevant, and of immediate interest to practicing interventional physicians, as well as to cath lab staff, nurses, and administrators. I am now moving on from my academic practice to a new role in the device industry and will be helping Edwards Lifesciences develop new therapy options for mitral and tricuspid valve diseases. Taking my place as Chief Medical Editor of Cardiac Interventions Today will be Azeem Latib, MD, whose editorial duties will commence with the May/June issue. I will eagerly look forward to his contributions as Editor, particularly as our field continues to grow in many new and exciting directions. Linda M. Koshy, MD; Matthew Schoenfeld, MD; and Binita Shah, MD, MS, kick off our feature articles with an update on the current best practices for transradial artery access. Shing-Chiu Wong, MD, and Salil Desai, MD, then recognize the challenge of navigating radial loops, offering insight into identifying this vascular anomaly and the strategies to circumvent them. To round out our radial access coverage, Karim Al-Azizi, MD, and Amir S. Lotfi, MD, explore the benefits and challenges of three alternatives to radial artery access: the ulnar artery, the distal radial artery, and the superficial palmar branch. In addition to our feature articles, we have included several articles on ventricular support and heart failure. First, Kathleen E. Kearney, MD; James M. McCabe, MD; and Robert F. Riley, MD, outline strategies for patient selection and management of mechanical support for high-risk percutaneous coronary intervention. Then, Valentino Bianco, DO; Arman Kilic, MD; and Ibrahim Sultan, MD, highlight right ventricular support options, focusing on advancements in therapeutic devices and the importance of adequate support. 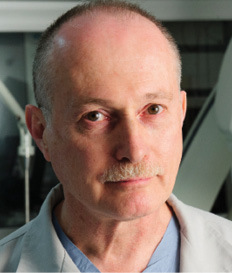 Finally, Carlo R. Bartoli, MD, and Robert D. Dowling, MD, provide an overview of next-generation left ventricular assist devices and total artificial hearts in various stages of development and clinical use. Elsewhere, in our cardio-oncology article, Ezequiel Munoz-Gonzalez, MD; Marie-France Poulin, MD; Mishita Goel, MD; Opeyemi Oyenusi, BSc; Cezar Iliescu, MD; and Tochi M. Okwuosa, DO, share approaches for successfully treating patients with cancer who require invasive coronary procedures. For our recurring Coding & Reimbursement column, experts discuss the changes to the 2019 reimbursement guidelines and the expected impact they’ll have on ambulatory strategies in cardiology. Finally, an interview with Cindy Grines, MD, concludes our issue. Dr. Grines shares about her role in mentoring young interventional cardiologists and the areas of research where data are lacking for female populations. My goal as Chief Medical Editor has been practically stated as an effort to make the ever-growing cascade of cardiology and interventional journals accessible through thoughtful and timely review articles. I’ll look back at many successful efforts and now forward to new stewardship for this enjoyable and unique journal.